A Year of Being Here: Patricia Monaghan: "Things to Believe In"
"Things to Believe In" by Patricia Monaghan. Text as published in Grace of Ancient Land (Voices from the American Land, 2011). 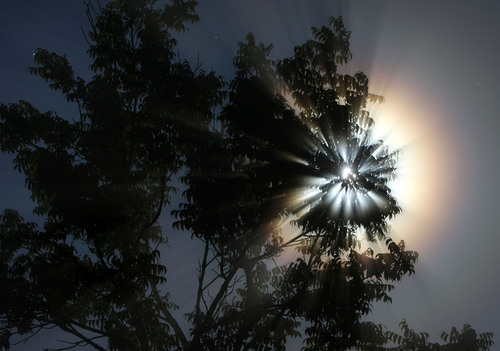 Art credit: "Fog highlights a burst of moonbeams through the leaves of a black ash tree," photograph by Bob King/Duluth News Tribune.